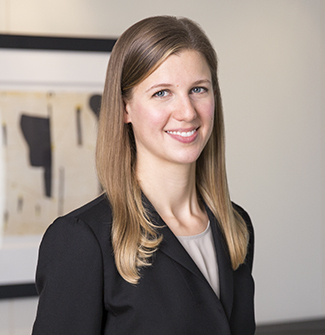 Jen Argyle is an employment law career associate in our New York office. Jen Argyle joined the firm in 2017. She concentrates in employment disputes, executive counseling, and has represented management in labor arbitrations. Jen enables her executive clients to avoid litigation surrounding employment negotiations and contract issues. She counsels corporate clients on litigation avoidance, conducts internal investigations discretely and efficiently, and drafts internal policies and procedures, further insulating companies and business owners from costly court proceedings. Jen also represents clients before both federal and state courts, arbitrations, mediations, and state and federal government agency proceedings. She has responded to claims of discrimination, retaliation, and harassment and she has also addressed wage-hour, misclassification, and disability/medical leave issues. Before joining the firm, Jen was an associate at a regional law firm where she represented management in all aspects of single-plaintiff and multi-plaintiff employment litigation.